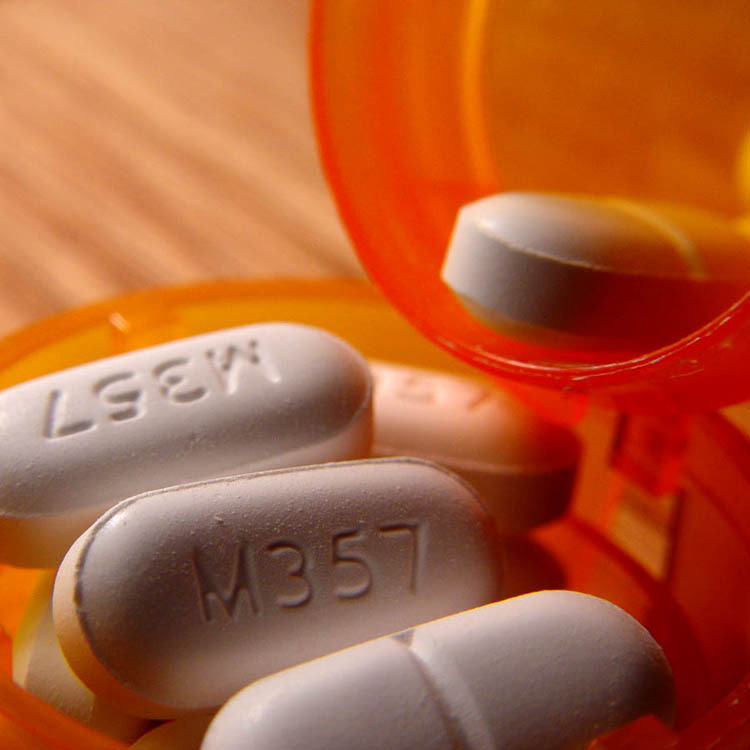 Vicodin is one of the most commonly abused prescription pain medications today. One of the most widely prescribed medications, Vicodin and its related medications, Loricet, Loritab Percodan, and OxyContin are opioid-based pain medications. Vicodin is a derivative of opium, which also used to manufacture heroin. Vicodin successfully diminishes pain, but it is highly addictive and withdrawal symptoms of Vicodin addiction are very similar to the pain it was relieving. Vicodin when abused can be taken: orally in pill form, chewed, or crushed (then snorted like cocaine). Vicodin is the trendy pain pill that is getting Hollywood high. People are popping the drug at parties like candy. David Spade joked about the painkiller at the recent star- studded Golden Globe Awards. Controversial rapper Eminem includes lyrics about Vicodin in his music and even tattoos it on his arm. Courtney Love, quarterback Brett Favre and Cindy McCain, wife of Senator John McCain, have come forward to address their addictions. And "Friend" Matthew Perry beat Vicodin three years ago but checked back into rehab last month for unknown reasons. Over months of Vicodin use the Vicodin effects will become greater and more damaging. At first the user will endure such effects as constipation, speeding up or the slowing down of the heart rate, nausea, and dizziness. As the use grows the Vicodin effects will come in the form of blurred vision, hallucinations, and sever confusion. Many people taking Vicodin longer than medically necessary keep using it thinking that if they were to stop taking Vicodin, their pain would return. In reality, the fear of Vicodin withdrawal can be a strong motivating factor in the continuing use of Vicodin, and more importantly, the feeling that more Vicodin is needed to combat the same pain. Over a period of time more and more Vicodin is needed to have the same pain relieving effects and to ward off Vicodin withdrawal symptoms. Many people end up taking more and more Vicodin or changing medications and switching to a strong medication such as OxyContin or Loritab and taking more and more of these, due to the highly addictive qualities of these medications.